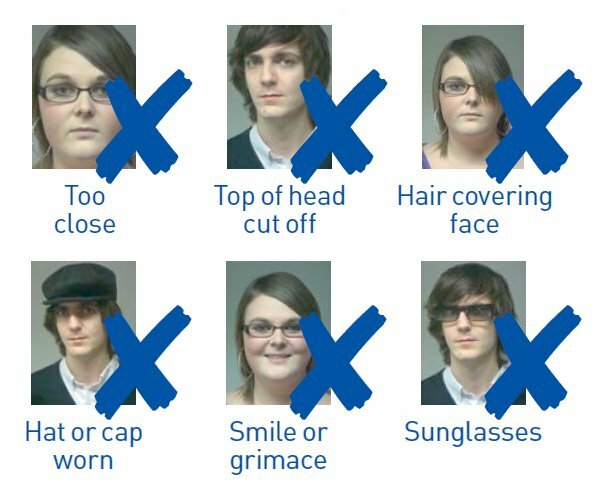 Photos are an essential part of your application for a CitizenCard ID. We only accept passport quality photographs. You can get your photos taken in one of many photo booths across the UK or by a professional photographer who specialises in taking passport photos. If the photos you supply are not suitable, you application for an ID card will be delayed. Please read the guidelines below and don't forget - one of your photos needs to be countersigned by your referee for first time applications. 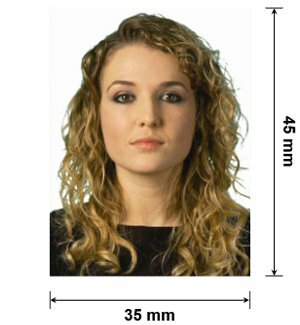 Photo size for a CitizenCard must be 45 millimetres high x 35 millimetres wide and must not be trimmed or cut down from a larger photograph. Children aged five and under do not need to have a neutral expression or look straight at the camera. Babies under one don't need to have their eyes open. All other photo standards listed above must be met.